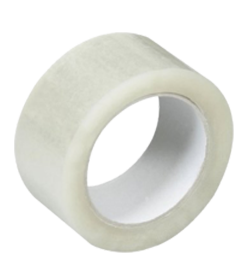 ADHESSIVE TAPE – Packing Tape Manufacturers ,Adhesive Tape Suppliers ,Cost ,Stretch Wrap Film Roll In UAE. BOPP packing tapes are some of the most commonly used tapes in shipping and inventory management today, and with good reason. The special molecular structure and the resin stabilization of polypropylene offer excellent mechanical and optical properties, which are especially useful in a variety of applications, one of which is packaging. Its rugged structure and high tensile strength make it the ideal material for packaging and labeling. It is also resistant to abrasion, moisture and various chemical solvents. It is easy to coat, print and even to laminate, which make it ideal for the manufacture of custom packaging tape. The material also offers minimal elongation (only around 150%, on average), and is burst-resistant. It is also easy to slit. The material is a thermoplastic polymer so it could work in higher and lower temperatures. Not all manufacturers provide tensile strength statistics but industrial grade packing tape should be able to bear longitudinal pressure of around 27 pounds per inch and 44 lbs. per inch, transverse. The average application temperature range for 30-micron, standard thickness (1.9 to 2.2 MIL) BOPP packaging tapes is between 35 and 110 degrees F while the operating temperature range is at 20 to 150 degrees F.
Most BOPP films are also non-toxic and therefore safe to use. Some comply with environmental protection standards, and some are even made of recycled material. 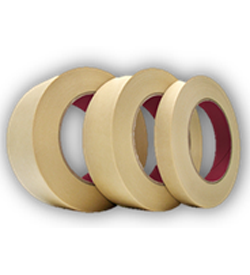 BOPP packing tapes are coated with different types of adhesive. The most commonly used are hot melt synthetic rubber and acrylic. Hot melt adhesives are one of the most widely used because of the consistent, reliable and quick seals. 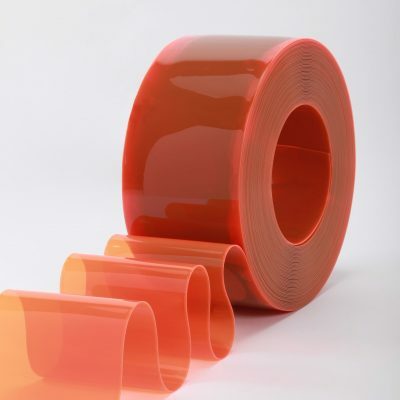 This kind of adhesive quickly bonds to the surface and offers high tensile strength, which make it one of the best choices for securing shipment. It could adhere well to various surfaces including film and fiberboard. Acrylic adhesives are another good option. They do not bond as quickly as hot melt adhesives (it has decent initial adhesion but it features gradual adhesion buildup that require around 24 hours to achieve maximum bond strength), but they have better heat, UV and shear resistance. This type of adhesive is recommended for heady-duty and long-term packaging. You Can see our adhesive tape cost is good..
Other adhesives include natural rubber, which has the same properties as hot melt synthetic rubber, except that it has better hold and could stick to dust, and heavy loads with various temperatures. Silicone adhesives are used too; it can be removed without leaving residue and is often used for applications that require exposure to extreme temperature. Most carrier or backing films have specs of 30 to 65 microns. The standard-duty tapes typically have thickness of around 2.0 MILs. Note that this already includes the carrier or backing film and the adhesive. Medium-duty packing tapes typically are around 2.6 MILs thick. Heavy duty adhesives have around 3.0 MILs (1 mil is 1/1000 of an inch). 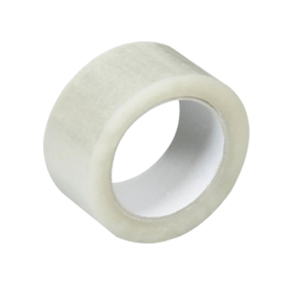 These packing tapes come in various widths too, with the 2-inch variety being the standard. Packing tapes with widths of 3/8 to 4 inches could be purchased in bulk. Standard length is 110 yards but 55-yard rolls are available as well. 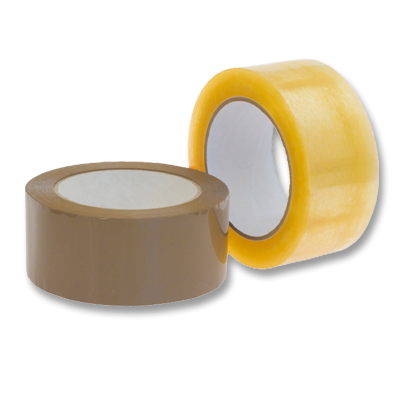 BOPP tapes typically come in the standard colors – clear and brown, although manufacturers now offer them in various colors such as red, pink, orange, yellow, green, black, white, purple and blue. There are three major types of BOPP packing tape – transparent, colored and printed/customized. Transparent BOPP adhesive tapes are ideal for shipment with special care instructions or products with packaging that must remain visible. Colored BOPP packing tapes are handy for inventory management as they can be utilized as a product identification and organization tool. Custom packing tape contribute to a more efficient inventory management, but the printed message can also be handy in communicating special care instructions, and the custom design and message could help in advertising and building brand awareness.